Who does not like the tongue-tickling flavor of sweet mangoes? Indeed, mangoes are closely connected to our lives and when the season is in full blast in the summer, we cannot resist the temptation to binge on something mango-based every single day! Make your loved ones feel special with heavenly tasting mango with fresh cream that makes each bite more delicious than the last. 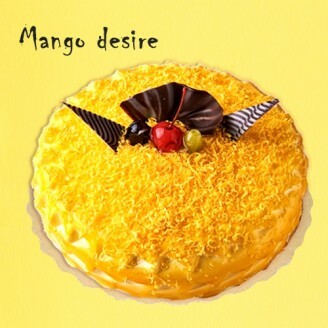 A soft and fluffy cake with the irresistible flavor of mangoes is sure to become a great hit with everybody. This is the perfect summer cake to brighten up a picnic, potluck or any kind of get-together and everyone will be sure to love you for it.